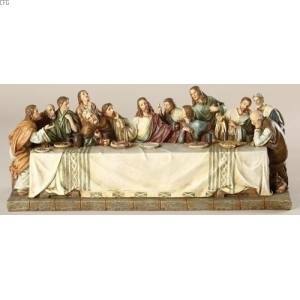 This intricately detailed Last Supper figure is crafted from a resin-stone mix. The colors used to paint the image make the statue have a warm, welcoming feel. A great gift idea for a housewarming gift, or for any special occasion! The figure stands 11.25" wide and comes boxed.